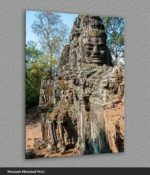 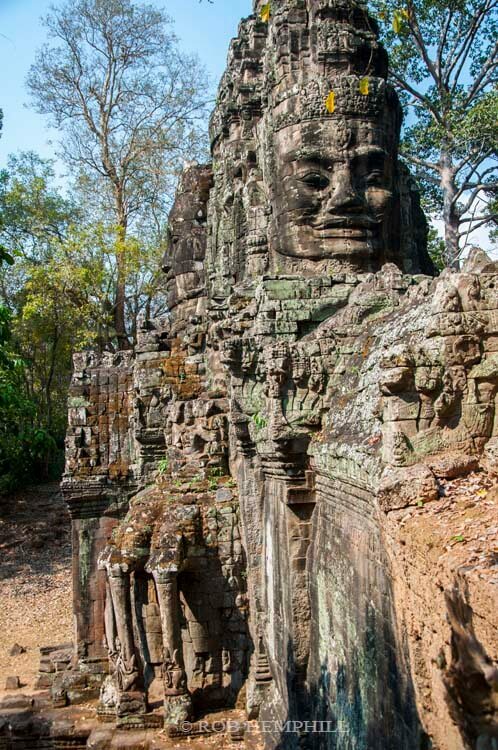 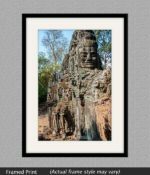 This is one of the stone faces at the South Gate of the Angkor Temples and is in itself just one of the five main gates into the ancient Angkor Thom. 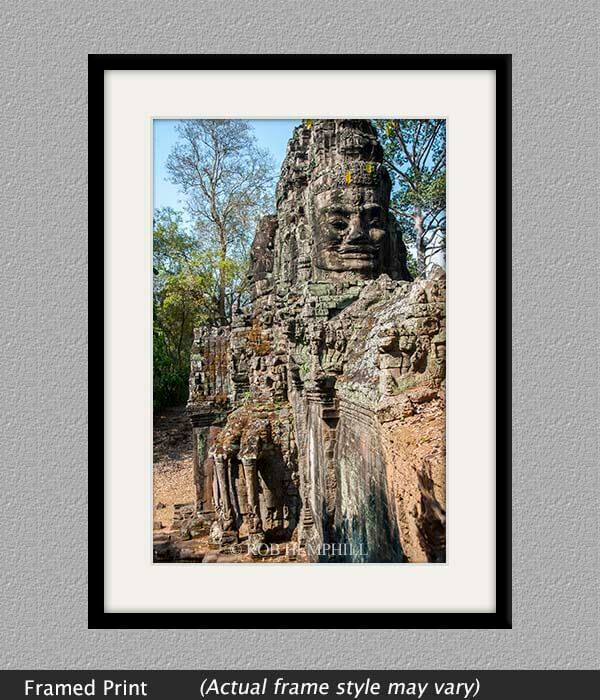 Angkor Thom literally means “Great City”, and it covers an area of 9 sq km. 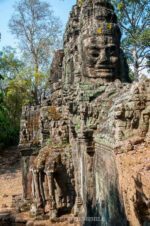 It was the last and most enduring capital city of the Khmer empire being established in the late 12th century by King Jayavarman VII. At the centre of the city is Jayavarman’s state temple, the magnificent Bayon.